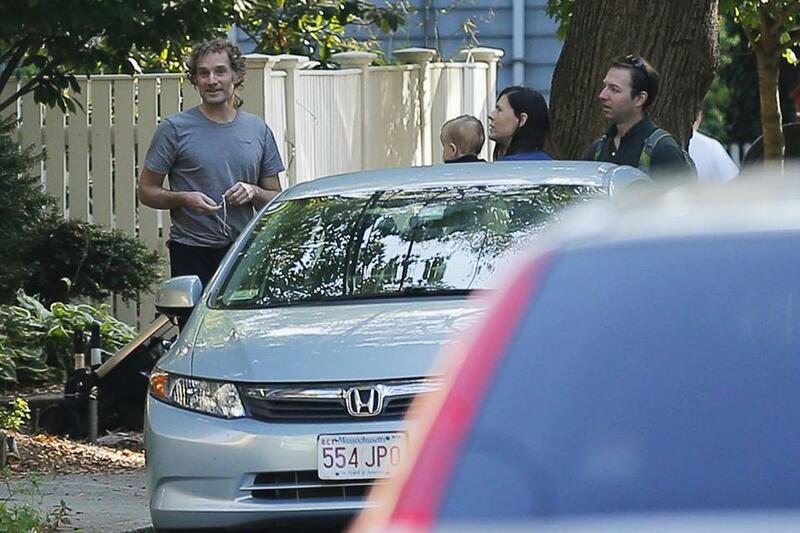 Nancy Curtis (left) and her son, Peter Theo Curtis, reunited in Boston on Tuesday. 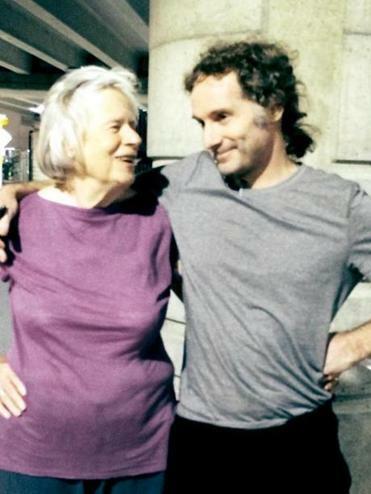 Peter Theo Curtis, the writer who spent nearly two years in captivity after being kidnapped in 2012 by militants in Syria, arrived back in Boston on Tuesday, his family said. In a statement, his family said he arrived at Logan International Airport on Tuesday evening, where he was met by his mother, Nancy Curtis of Cambridge. Curtis, 45, was handed over to United Nations peacekeepers in the Israeli-occupied Golan Heights on Sunday evening, according to a United Nations spokesman. After it was determined he was in good medical condition, he was transferred to representatives of the US government, the UN said. His release came days after a gruesome video surfaced of another American, journalist James Foley, being executed by Islamic State militants. Curtis and Foley were kidnapped separately in the fall of 2012 in Syria. Curtis’s family said he is from Boston and Vermont; Foley had lived in Wolfeboro, N.H.
Curtis thanked his supporters in the statement his family released. Peter Theo Curtis, who was released on Sunday after two years in the captivity of insurgents in Syria, stood outside his mother's home in Cambridge. Curtis’s captors were members of Al Nusra Front, which has ties to Al Qaeda and is one of the groups seeking to topple Syrian President Bashar Assad. According to the family statement, several media outlets refrained from naming Curtis as a hostage while he was being held, at the request of relatives. Material from the Associated Press was used in this report. Travis Andersen can be reached at travis.andersen@globe.com.